It is commonly recognized that the Gospels depict Jesus’ crucifixion as an ironic royal enthronement. We know the evidence for this statement: the triumphal entry of Jesus into Jerusalem; the riddle of Psalm 110 over the messiah being David’s Lord; the parable of the pounds; the dressing up of Jesus in royal garb; the ironical mocking of Jesus as a messiah and king when he is on the cross; and the Gospel of Mark’s ironical Roman triumph and mock acclamation of Jesus as emperor. Some have questioned whether pre-Christian Jews ever contemplated the idea of a messiah who suffers. I have posted some of the reasons we have to think that some Jews did speculate on the possibility of a suffering messiah and this post will be one more addition to that archive. Interestingly another scholar, Joshua Jipp, has pointed out that that messianic Psalm of Solomon is based on our canonical Psalm 2 which speaks of a suffering messiah. One may ask if there are any specific examples of pre-Christian messianic appropriation of the psalms. Psalms of Solomon 17 and 18 use Psalm 2 in their description of a coming Davidic Messiah. Moreover, one could describe Ps. Sol. 17:21-32 as a midrash on Psalm 2. For example, the coming Davidic figure is depicted as bringing forth punishment ἐν ῥάβδῳσ ιδηρᾷ (“by an iron rod”; Ps. Sol. 17:24), an exact replication of Ps 2:9. The vocabulary of Ps 2:9 of σκεῦος κεραμέως συντρίψεις αὐτούς (“you will crush them into pieces as a potter’s vessel”) is echoed in Ps. Sol. 17:23b-24a with ὡς σκεύη κεραμέως . . . συντρῖψαι. The use of Psalm 2 by Psalms of Solomon, therefore, provides further evidence of the eschatological and messianic nature of Psalm 2. Perhaps most important, however, is the psalms’ frequent depiction of a Davidic figure, under intense duress and persecuted by his enemies. While suffering and hostility at the hands of one’s enemies are potentially common to all humanity, it is King David who is portrayed as the righteous, royal sufferer par excellence (Pss 7:4; 69:4; 109:3). His enemies surround him to mock and afflict him (e.g., Psalms 22; 69; 89). David’s plight frequently brings him to the point of despair, wondering if God has abandoned and forsaken him, giving him over to death and Hades (Pss 22:14-18; 38:5-8; 69:16-20). Yet despite his sufferings and persecution, David maintains his fidelity and hope in God. In the Davidic psalms one finds the paradoxical combination of kingship and righteous suffering. The point is not so much that David is the paradigmatic example of a “righteous sufferer” so much as he is the “righteous suffering king.”21 This anomaly, namely, that David, God’s anointed one, undergoes persecution and suffering, has great importance for Luke’s conception of Jesus, the suffering Anointed One. 21 In other words, though the psalms’ characterization of David as a “righteous” sufferer is extremely significant, it is his royalty and kingship that are crucial for Luke’s appropriation of the Davidic psalms. Other posts have considered arguments that our canonical Gospel of Luke came into existence after an earlier “ur-Luke” of some sort was expanded with episodes and Scriptural allusions that aimed at Marcionite teachings. (Marcion, recall, led a substantial proportion of early Christians and taught that the Jewish creator god was a lesser being than the true “unknown” or “alien” god from whom Jesus came to ransom Jews and all humankind.) 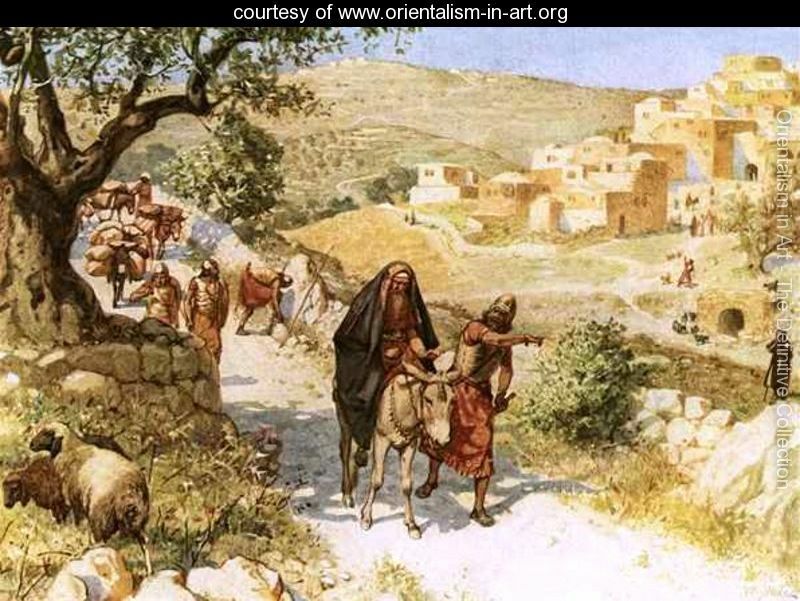 The passages in the Gospel of Luke’s nativity chapters and then again in the Passion week are rich with Davidic and royal messianic references. In between, through the main body of the gospel narrative, they are absent. One may suspect that a pro-Marcionite form of the Gospel of Luke had additional material added to it, especially its beginning and ending, to stress that Jesus did conform to the expectation of the Jews’ suffering royal messiah. That the Second Temple royal messianic Psalms of Solomon are built upon the “orthodox” Psalm 2 of the Hebrew Bible, a psalm that describes the kings of the earth threatening the life of the messiah prior to his eventual vindication and victory, is another indicator that the notion that a royal conquering messiah should first suffer was not a bizarre or incomprehensible notion to pre-Christian Jews after all. This is not far from other Psalms understood to be by David describing his suffering at the hands of the wicked. And of course there can be no question that a significant number of Second Temple Jews did indeed apply psalms about the sufferings of King David to a messianic son of David figure. The point of the Psalm of Solomon 17 is that it demonstrates a close connection between messianic ideas and the Jewish Scriptural Davidic psalms of the suffering anointed king. 1 Wherefore did the heathen rage, and the nations imagine vain things? 3 [saying], Let us break through their bonds, and cast away their yoke from us. 4 He that dwells in the heavens shall laugh them to scorn, and the Lord shall mock them. 5 Then shall he speak to them in his anger, and trouble them in his fury. 7 declaring the ordinance of the Lord: the Lord said to me, Thou art my Son, to-day have I begotten thee. 8 Ask of me, and I will give thee the heathen [for] thine inheritance, and the ends of the earth [for] thy possession. 9 Thou shalt rule them with a rod of iron; thou shalt dash them in pieces as a potter’s vessel. 10 Now therefore understand, ye kings: be instructed, all ye that judge the earth. 11 Serve the Lord with fear, and rejoice in him with trembling. 12 Accept correction, lest at any time the Lord be angry, and ye should perish from the righteous way: whensoever his wrath shall be suddenly kindled, blessed are all they that trust in him. Jipp, Joshua W. 2010. “Luke’s Scriptural Suffering Messiah: A Search for Precedent, a Search for Identity.” Catholic Biblical Quarterly 72 (2): 255–74. Posted on 2018-12-07 06:25:21 GMT+0000 by Neil Godfrey. This entry was posted in Biblical Studies and tagged Gospel of Luke, Messianism. Bookmark the permalink. So Neil, what do you think are the implications for the criterion of embarrassment regarding Jesus’ death and something that somehow shocked the early followers of Jesus, and so it had to have happened? Years ago I spent a good deal of my M.A and Ph.D work specializing in The Wisdom and Poetic Lit of Judaic and Hellenistic lit. I worked on the famous I Cor. 1-2 text. Paul’s perception of Christ as the wisdom of God. We know quite clearly that Paul was a teacher of esoteric wisdom and other NT writers affirm this. (eg. Peter 2 Pet. 3). His treatises are full of it!! BTW he is only called that…not an apostle (except the weird and weak affirmation in Acts 13. Interestingly there as well Paul is a subordinate. Luke does that with Paul throughout. Moreover Paul is perceived as Hermes in Acts…the great interpreter of the gods…but again he is subordinate to Zeus (aka Barnabas)son of a prophet. Both Paul and Barnabbas are speakers but Paul “leads the way” so to speak. and overcome by its heat. because it is sealed up and no one turns back. and let no flower of spring pass by us. nor regard the gray hairs of the aged. This text sheds light on the devil and the righteous man in the NT texts as well. Note Hebrews 2:13ff. as well. Just a sidelight… I am presently working on the language, figure and motif of the satan . I am struck by Paul’s “allusions” to wisdom lit at many places in Corinthians.. etc. eg. His incredible familiarity with “angel” stuff. Paul is among the angels….He even classifies himself as an angel. BTW I am quite surprised that Ehrman, et al have drawn on Gal. 4:14 to “prove” Jesus was an angel but not himself!! Read it for yourself! The implications are staggering! The Pauline traditions in the NT (note the plural not singular) reflect that Paulinists believed they were already sitting or standing in the heavenlies with the family or order of the angels in God’s family in heaven!!! Ephesians 1 and 3. Paul also knows of tongues of angels…He communicates with angels or spirits and channels “Jesus” through words of wisdom and gnosis, etc. The references to tongues of angels and disguises of the satan are found in the wisdom book..The Testament of Job. Anyway, there is lots more I could say but I have to get my day going. The criterion of embarrassment appears to me to have been devised to justify details in the Jesus gospel narratives that in turn justify the the quest for the “historical Jesus”. Without the criterion of embarrassment there is nothing surviving of the “historical” Jesus and the whole exercise is left in limbo. As Neil has said, the criterion of embarrassment is an embarrassment. When you combine the criterion of embarrassment with the criterion of repetition (or whatever they call it), then you can basically justify any possible passage as historically true. Basically they use the criterion of embarrassment when any given detail is not repeated commonly by other writers to say that the singular instance must be true because other writers were too embarrassed of the fact to repeat it (for example they apply this to the fleeing of the naked man in Mark). Likewise, if something is repeated by many writers they say it must be true because everyone confirms the same thing. So lol, obviously between these two positions you can justify anything. There are so many problems with the criterion of embarrassment it’s not even worth beginning to critique it. Later gospel writers were quite uncomfortable with Mark’s account of John the Baptist baptizing Jesus, and so included that pericope in spite of their purposes, which would seem to make it historical. On the other hand, we have to be careful in applying these criteria here because just because Mark’s baptism pericope made later writers uncomfortable, that doesn’t mean Mark was uncomfortable with the baptism pericope: Mark says “The beginning of the gospel of Jesus Christ ; as it is written in the prophets.” Mark immediately interprets John the Baptist as a forerunner of the Messiah (a la Elijah in II Kings 1:8). Mark then clothes John similar to Elijah (Mark 1:6. II Kings 1:8.) He then says John ate locusts and wild honey,the food of the wilderness in which Elijah lived (and so on and so on). Some see in the Jordan baptism and the endowment with the spirit a repetition of 2 Kings 2, where, near the Jordan, Elijah bequeaths a double portion of his own miracle-working spirit to Elisha, who henceforth functions as his successor and superior. So there isn’t really any reason to suppose the historical Jesus was baptized by John. On the other hand, some like Dr McGrath have tried to rescue the historicity of the Jesus/John relationship by pointing out John doubts Jesus, but this wouldn’t seem to be any more of a guarantee of the historicity of Jesus’ relationship with John the Baptist than it would be arguing on analogous grounds that Peter must have denied Jesus just because the story says so, or Thomas must have doubted Jesus, or the disciples actually did doubt what Jesus could do in certain situations when he had just performed a miracle resolving an analogous situation just a little while earlier, etc. I really like these comments. R.G Price’s response is “Priceless! ie. The criterion of embarrassment is an embarrassment! So cool! Something like this… imagine the “empty tomb”…. then look again, it is an “empty argument”! Can you guys say a little more about the “expectedness” or lack of it re: the suffering Messiah motif. So do all of you disagree with Ehrman, et al that those who claim that they did not expect a suffering Messiah and so after being “shocked” when the suffering went down this then makes the event true? Also let me ask an interesting question here. Did the “suffering event” come from a text (and so made up) or did the event occur and then the scribes used a text to explain “what happened” and what it means to them? Please think about this question carefully. Nice to chat with you all. I have learned much here. Ehrman says lots of things that are delivered to first year undergraduates and that really amount to little more than what many apologists say. If one delves into the scholarship with a serious search and set of questions one soon finds many studies that point to the likelihood that some Jews did indeed speculate about a suffering messiah to come. I have posted a number of times on that and expect to do more — from the scholarship that Ehrman appears not to be keeping up with. As for the final question, whether the suffering event came from the text or real life, we no longer have any “real life” — history is dead and gone. All we have is the text’s “suffering event”. It is pointless and an error of method, I believe, to ask about an event beyond the text purely on the say-so of the text itself. I don’t know how we could ever justify such a method. All we have is the text and that’s all we can make assessments about. If there is independent corroboration of something in the text that’s a different story. But if we can see from our textual material indications that it was borrowed from other texts or was expressing a theological agenda, then that’s the best we can do. If one day we were to find out that there was a real “suffering event” after all then that’s great because it would mean we have had new evidence to lead us to justify that event. But without that all we have is the text, without independent corroboration. To speculate beyond the text is pointless. Wow! Neil!! Thanks so much. You are at your best here! What wise and on-target words which cannot help us all to think about how desperate everyone is to make some absolute claim or interpretation of very ambiguous and ambivalent evidence at many points of the data. Many things are clear and others are not. This must be kept in mind. We have to use the best tools and evidence we have right now to make sense of the pleroma of data up to this date. I think Luke in his so-called historical preface is up to the same schematics for his salvation history stories! No one can get around the fact that he is himself somewhat dissatisfied with previous “narrative” attempts to tell the stories of Jesus “accurately” or the “real scoop”. You have got to be kidding me!!! Yes, as he saw it , but only according to a pre-adopted perspective in a catechetical context which Luke-Acts is focused on. I have read Luke for a long time now, even taught Luke-Acts for years. Let’s keep our wits about us dear comrades ….for critical thinking! Neil’s work here is helping us along the way to sanity! I hope my last questions I asked will be understood. I may not have worded them the right way. Text first or “event” first? Maybe that will help. Event first? Why not? It’s just we have no evidence for such and literary precursors up the kazoo from here, there, and everywhere. Going off the contemporary history we have, Josephos, there was a bit of a thing with people going out and enacting sacred history to magically force God’s hand. Jesus could be an undocumented-but-for-the Gospels one of those, except when you read Mark closely it is an obviously contrived story, in which none of the characters behave remotely believably, compromised by magical happenings throughout the plot. Take the fantastic out and you are left with a failed, undetected, conspiracy in Jerusalem with unintended consequences if it actually happened remotely as told. Even if there wasn’t a suffering messiah in Judaism you still have suffering saviors in Greco-Roman-Egyptian religion. So there’s nothing really ’embarrassing’ or unique about the messiah/king suffering. The suffering of a savior was not uncommon. Osiris was a king who suffered, was killed and became a savior. Dionysus was supposed to be the new king but he was murdered and instead became a savior. “Near the center of the story of Dionysus’ death lies the theme of sacrifice. The Titans lure Dionysus away with toys to ensure that, like an animal at a sacrifice, he will go willingly to the slaughter. They disjoint their victim, cook him, and consume him, as one would a sacrificial animal… Like his father, he is destined to usher in the next, even greater phase of cosmic history, but unlike his father, he falls prey to the titans…the unfulfilled promise of his truncated kingship glimmers behind the different role he takes on, once he is reborn, as a mediator between the world of the living and that of the dead… some victims of human sacrifice, including the two whose stories most closely parallel Dionysus’ tale (Pelops and Lycaon’s son or grandson) die but are subsequently resurrected, as Dionysus will be. Interesting parallels. Ya, those literary psycho-archetypes….in all those stories…myths..fables..etc. Can make one go crazy looking for gods in oneself…lol….Like Docteur…Docteur…(He does have 2 doctorates) Robert M Price says…What an embarrassment of riches we have in all this kind of literature….Check out his Holy Fable Series…..
Just a little gift for ya! Check out the work of Prof. Dr. Simo Parpola , all his stuff…you will fall in love with it.. When you check out the “roots”.. the “radical” nature of the incredible texts of ancient thoughts and cultures you will find yourself transported, both voluntarily and somewhat involuntary, even contrary in imagination to make sense of such texts , not only in your own time but their own as well. Quite a task. Tough! Lots of room for anachronisms galore! A lot of conversions to Religions and Philosophies of this or That nature occur due to something greatly lacking in the former cult. Again, check out Parpola’s the Mesopotamian Nature of Western Culture… good hunting…I only have a hard copy of that wonderful piece. Can’t even find it now. Oh Well! You will never regret it my friend! I’ve read some of Simo Parpola’s stuff. I agree, his work is really interesting. Yes, Steven. That is one of pieces, among many others.